Pineapple and cherry are the confectionery masterpiece that makes a perfect addition to your occasions. 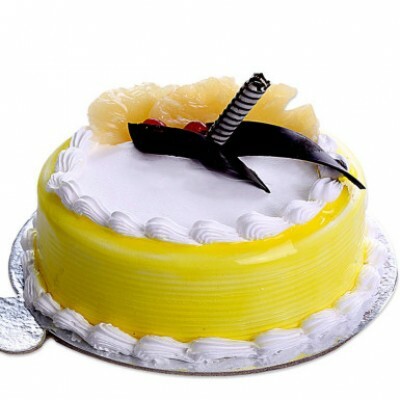 Pineapple extravaganza cake is a delicious cake and includes butterscotch chips and pineapple chunks that are blended well with the mushy rich cream carrying the tempting aroma. This cake is a scrumptious treat for the ones absolutely enthralled with sweetness. It is suitable for birthdays, anniversaries, get well soon, dinner parties, get-together. Bring a broad smile on your loved ones face by surprising them on their special moments.